Then, I thought … let’s step away from QBO for a bit (it IS busy season, after all) and look at some of the ways to save time in general. I spent a few days recently jotting these down as I noticed them. Because it’s winter as I write this … if you live where it snows, and the forecast is calling for snow, go lift your windshield wipers up. 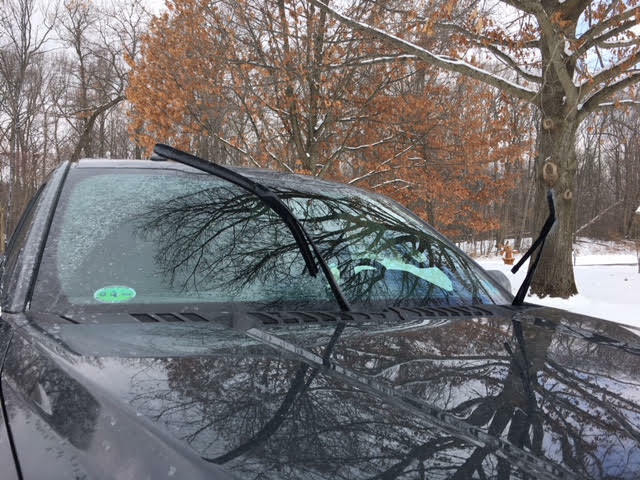 As a 5’ 4” person that drives a giant truck, this saves me so much time in the morning – not having to climb up to dig my wipers out, or wait for them to thaw out. Use Amazon Dash buttons for that stuff that you DO NOT want to run out of. It will save time having to make unscheduled runs to the store. We have one for cat food, toilet paper, trash bags, laundry detergent and dishwasher detergent. My 9-year-old son insists that we need one for Pop-Tarts, but that’s a hard pass. “Find it a home.” I tell my kids this whenever they have something they don’t want to lose track of – and to always take it back to its home when they’re done with it. I (try to) do the same with my phone by always setting it down in the same place, so that I don’t waste time looking for it. Buy gifts when you see them. My daughter’s birthday is months away, but I found two things in the last three weeks that she will LOVE – so I bought them already and have them stashed away. I do this for Christmas as well, and not just for my kids. It saves me tons of time rushing around during the holidays, trying to find the perfect gift for my husband, mom and in-laws. Use some sort of online grocery shopping option. One of my biggest complaints in life is how inefficient grocery shopping is! I have to touch everything so many times: putting in the card, putting it on the checkout belt, putting it in my truck, bringing it in the house, putting it away … GAHHHHH! Where I live, we don’t have too many options, so I use Kroger’s ClickList and just pick up groceries on the way home from dropping off or picking kids up from school, or delivery from Meijer using Shipt.com. There are other options, depending on your location:, such as Instacart, Whole Foods, Safeway and Amazon Fresh. Use a personal assistant app to make/cancel/reschedule appointments. Many professional virtual assistants (VAs) don’t do personal assistant tasks, so I recently started using Fin. The first thing I asked it to do was find me a dermatologist for my daughter. It gave me a few doctors to choose from, and I scheduled the appointment with them and added it to my calendar. I mostly use it for that sort of stuff, but it can do so much more. IT IS WORTH EVERY PENNY. Turn food storage containers upside down in your fridge, so you can see what’s in them. For the life of me, I don’t understand why they still keep putting dark tops on these. ProTip: If you use the “disposable” containers, always buy the same brand and/or size – they’ll stack easier and you don’t have to dig around to find the correct size top. If you have an event or appointment the next day, set your clothes out the night before. I do this with my workout gear and what I call “my human clothes.” Because I work from home, my “work clothes” are yoga pants, leggings and/or a tank top. If I have any meeting – in person or remote – with someone that isn’t one of our four cats, I set out clothes the night before so I don’t spend time in the morning looking for something. Hire a VA for your business. 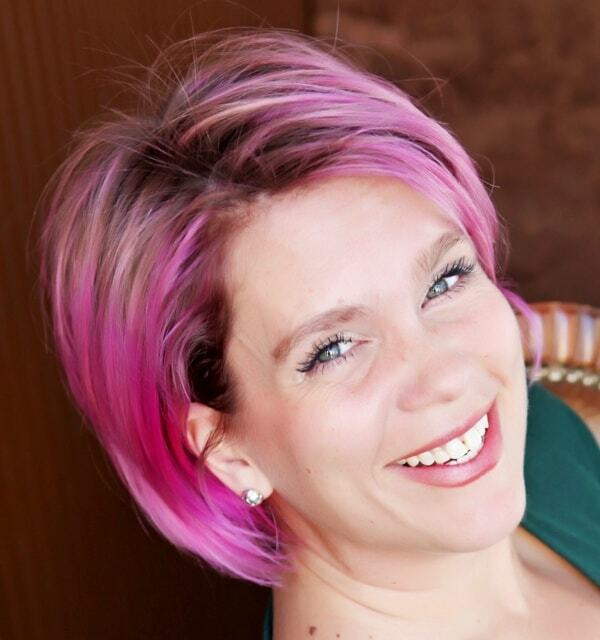 Hiring a part-time VA was one of the best things I’ve ever done for Kildal Services. My admin helps with travel reservations, social media posts, lead follow up, editing slide decks and more. Anything that I can delegate to my VA, I do. My time is better spent doing things that grow my practice. Color-code your calendar. I have one color for my day-to-day stuff, and anything that requires travel is yellow. My kids each have their own color for events they have, such as my son’s swim lessons or my daughter’s marching band practice. Anything that is tentative is gray. That makes it much easier for me to find something if I know what color to look for! Prepare for tomorrow’s workday. If I need to leave the house, I make sure my “office” (aka my backpack) is packed with my laptop, iPad, power cords and whatever else I might need for the day the night before. If I have a webinar to present or a remote client meeting, I make sure that I have all the files and/or documents needed attached to the appointment in my calendar, or bookmarked and added to a folder on my browser’s bookmark bar. You can also create a link to anything and add it to your computer’s desktop. Use some sort of to-do list or workflow/task monitoring tool. We have a workflow status spreadsheet that we use, but I also handwrite my to-do list every evening because I remember things better if I write them down. I also really, really, really love the satisfaction of crossing something off the list. These days, I don’t use pen/paper; I use my Apple pencil with MyScript Memo on my iPad. ProTip: If it takes less than five minutes to do something, just do it – don’t add it your to-do list. The last way to save time can be used in any situation – personal and work. Say no. You don’t have to take on every project, go to every event or do everything your kids, spouse or clients ask. ProTip: You aren’t obligated to provide a reason why you’re declining whatever is being asked of you – no is a complete sentence. Good luck. I hope some of these help you find some time to read those books on your reading list, binge watch that show everyone is talking about, or just sit for a little while and just do nothing at all.